What is the life span of floor pads and how often can departments expect to replace these products? The life of a floor pad fluctuates based upon the many variable conditions that exist, such as how dirty the floor is, how often a floor is cleaned or polished, how solid the floor finish is, and how fast the machine is running at, let alone how much experience the operator possesses. Most pads are tested to achieve x-thousand square feet using average conditions data. This test measure is fairly consistent and one in which the industry accepts as ideal for most cases. This is the number one question we get, but the answer is not a simple one. Floor pads are not all made the same. Manufacturer A may make a red pad using the highest quality abrasives, resins and fibers. Manufacturer B may manufacture a red pad that appears very similar, but uses cheaper abrasives, resins and fibers that will not only result in less pad life, but more importantly will cause a great deal of damage to the floor finish they are supposed to be maintaining. My advice is to select a quality manufacturer that has a respected name and stick with them. I was told a long time ago, "you only get what you pay for." Now more than ever it's up to you, the customer, to make sure you are getting what you pay for. Other factors that will determine pad life are, the condition of the floors being maintained, the condition of the equipment being used and proper care for the pads during and after use. Simply taking the pad off of the machine and rinsing it after each use will greatly increase the life of the pad. There are many different variables that can affect the life of a floor pad. The single most important factor in achieving the expected life of a floor pad is how they are cleaned. Floor pads should be cleaned after every use by spraying the pad to remove soil, and then hanging to dry. Improper care of the floor pads dramatically reduces their life. Stripping/Scrubbing pads: these pads provide the muscle in the more challenging cleaning tasks, thus their life is shorter. A conservative estimate in this category is 25,000-50,000 sq. ft. per pad. Buffing & Polishing pads: the lifespan of these types of pads range between 75,000-100,000 square feet per pad. UHS Burnishing pads (all synthetic and natural hair blends): Generally speaking, UHS pads should last 100,000-150,000 square feet. On average, 100 percent synthetic pads will tend to wear slightly longer than natural hair pads. What, if anything, can departments do to extend the lifespan of floor pads? 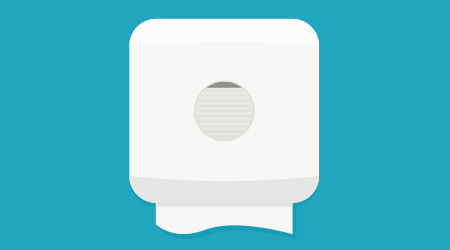 Proper Cleaning: Pads must be cleaned after every use. Do not soak pads in cleaning or stripping solution as this will break down binder over time. Use a hose with a garden nozzle with hot water to remove soils and finish from pad. Don't allow soil or finish to dry on the pad: During and after the cleaning job, store "soiled" pads in a plastic liner bag to keep pads moist until clean up. Use proper pad driving accessories on machines: Improper or worn pad holding devices allow pad to move while in use, causing damage to pad.